Whey protein concentrate, natural & artificial flavors, cocoa, cellulose gum, xanthan gum, creamer (sunflower oil, corn syrup solids, sodium caseinate, mono & diglycerides, dipotassium phosphate, tri-calcium phosphate, soy lecithin, tocopherols), dry cream, salt, sucralose, silicon dioxide. Add 1 scoop of powder into 12oz of water or other beverage, shake or blend well. If stronger taste is desired mix with 10oz of water or other beverage. Consult your physician before taking if you are taking prescription medications, or you have an existing medical condition. Very low calorie protein diets (below 400 Calories per day) may cause serious illness or death. Do Not Use for Weight Reduction in Such Diets Without Medical Supervision. Not for use by infants, children, or pregnant or nursing women. Discontinue use and consult your physician if any adverse reactions occur. KEEP OUT OF REACH OF CHILDREN. STORE IN A COOL, DRY PLACE. 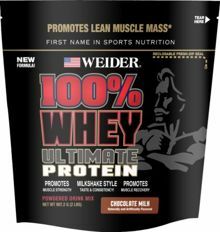 Whey Protein Concentrate, Natural & Artificial Flavors, Creamer (sunflower oil, corn syrup solids, sodium caseinate, mono & diglycerides, dipotassium phosphate, tri-calcium phosphate, soy lecithin, tocopherols), cocoa, cellulose gum, xanthan gum, dry cream, sucralose, caffeine, and silicon dioxide. Contains: Milk and Soy and Peanuts. Whey protein concentrate, peanut flour, cellulose gum, xanthan gum, creamer (sunflower oil, corn syrup solids, sodium caseinate, mono & diglycerides, dipotassium phosphate, tri-calcium phosphate, soy lecithin, tocopherols), natural & artificial flavors, salt, dry cream, sucralose, silicon dioxide. Whey Protein Concentrate, Natural & Artificial Flavors, Creamer (sunflower oil, corn syrup solids, sodium caseinate, mono & diglycerides, dipotassium phosphate, tri-calcium phosphate, soy lecithin, tocopherols), cellulose gum, xanthan gum, dry cream, beet root, sucralose, and silicon dioxide. Whey protein concentrate, natural & artificial flavors, creamer (sunflower oil, corn syrup solids, sodium caseinate, mono & diglycerides, dipotassium phosphate, tri-calcium phosphate, soy lecithin, tocopherols), dry cream, cellulose gum, xanthan gum, salt, sucralose, silicon dioxide. is the newest innovation with the standard staple of protein. Our 100% whey protein concentrate is engineered to not only deliver your muscles with the necessary amino acids, but in a thicker, milkshake style experience. You train your heart out, and are consistent in eating a strict diet to ensure maximum results… you deserve a treat. 100% WHEY ULTIMATE is just that! Choosing one of our 5 delicious flavors will act like fireworks for your tastebuds. Delicious, satisfying and with a purpose… to deliver 22 grams of highly bio-available aminos to your muscles for building lean muscle mass and strength. Take daily to reinforce muscle recovery to keep you building! Increasing your daily intake: Add 1 scoop to water or milk or inside of a smoothie up to 3x daily to meet your needs. Fitness Consumer: add 1-2 scoops (depending upon your daily needs) before and after workout as well as in between meals as needed to fuel your muscles with Aminos.